Hi everybody, I´m a Moroccan teacher of English.I´m very pleased to be a member of this hard working group of teachers to share our experiences and our knowledge. Enjoy your time. With the help of this ws, intermediate students will be able to disctinguish between different linking words used to express addition, cause, effect, etc. They are asked to uncramble the sentences to write a coherent paragraph about the importance of education. 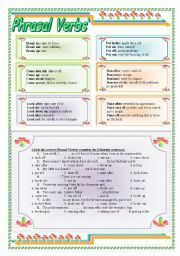 Hope it is useful for your students as it was for mine. Have a nice weekend. A good ws to let pre-intermediate to intermediate Ss familiar with the verbs followed by either gerund, infinitive or both. An exercise is included. Waiting for your comments. Have a nice time. 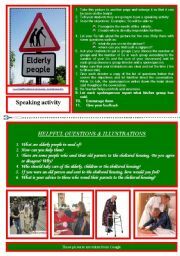 it´s a speaking activity which helps students discuss the issue of the elderly. It ´s an issue which touches each one of us.Hope you find it interesting and helpful in your classes. 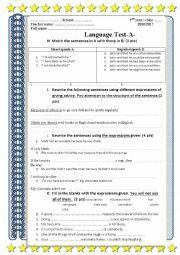 This ws is a good practice of the use of linking words in writing for intermediate Ss.The linking words used in the ws express cause, effect, contrast,purpose,addition and examplification. 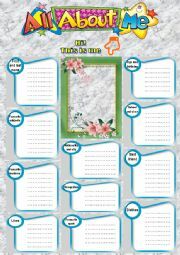 Thank you CharmedOne for the nice template. It was of great help to prepare this ws. Hope my ws will be helpful to you. have a nice day. This ws introduces some phrasal verbs using some frequent verbs: break, come, look, put, run and take. I want to thank Jenela for the template which helped me a lot.enjoy it. 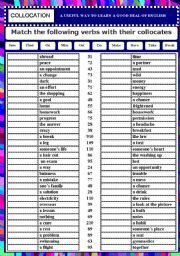 A language test for 2nd year classes testing different aspects of language such as reported speech, wish in the past, linking words,giving advice and vocabulary related to the themes of units 6 and 7. 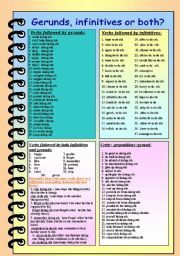 I hope you can find it useful for your students. The other version will be uploaded tomorrow. Thanks dear Bruna Dutra for the template. 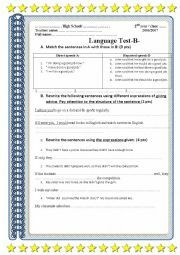 A language test for 2nd year bac students, version 2. Waiting for your comments. 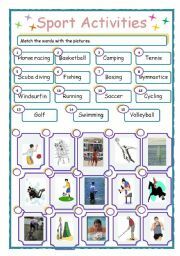 This ws can be used to introduce a number of sport activities using nice pictures. thank you Jecika for your nice template.have a nice time.waiting for your remarks. 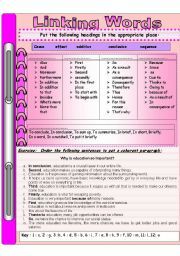 Modified and useful slides on teaching the way to tell and ask about time. They are easy to use, attractive and rich. They allow a lot of interaction and feedback. Enjoy using them in your classrooms. Your comments are welcomed. This ppt helps Ss undestand the concept of sustainable development with the help of some pictures, taken from the internet and some vocabulary exercises. Hope you can enjoy it with your Ss.